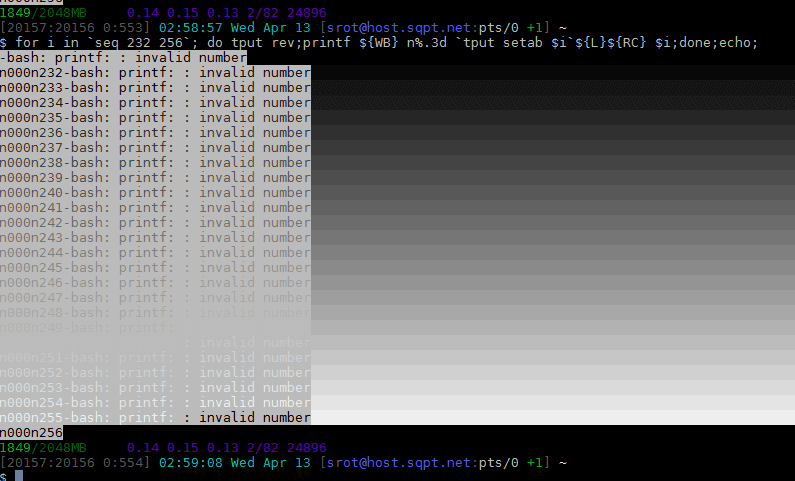 This amazing bash linux prompt does more than meets the eye. 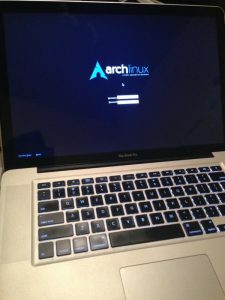 If you want to know how to become really good with technology, linux is the secret sauce behind the AskApache articles. Open Source is elixir of the web. Thanks to everyone who helped me for the past 20 years. I use linux/bsd because homey don't play, so this is geared to be as productive a prompt as I can make it. Don't have much time.. or just don't care? Not a problem, here are the 3 lines to copy and paste - you can just paste them right in your shell to test it, or add to a startup script. export AA_P="export PVE=\"\\033[m\\033[38;5;2m\"\$(( \`sed -n \"s/MemFree:[\\t ]\\+\\([0-9]\\+\\) kB/\\1/p\" /proc/meminfo\` / 1024 ))\"\\033[38;5;22m/\"\$((\`sed -n \"s/MemTotal:[\\t ]\\+\\([0-9]\\+\\) kB/\\1/p\" /proc/meminfo\`/ 1024 ))MB\"\\t\\033[m\\033[38;5;55m\$(< /proc/loadavg)\\033[m\";echo -en \"\""
export PROMPT_COMMAND="history -a;((\$SECONDS % 10==0 ))&&eval \"\$AA_P\";echo -en \"\$PVE\";"
This is not your everyday vimrc. This is my personalized vimrc.. works especially great on remote servers, in tmux, screen, etc. This doesn't require a git checkout, a vim update, a bash update, an OS update, a plugin. No. 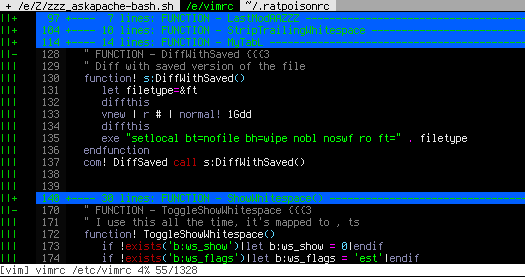 1 vimrc, 1 colorscheme, just use curl to download and it's on. I use this on Arch Linux, NetBSD, FreeBSD, OpenBSD, Debian, Ubuntu, Cent OS, Red Hat, and that's mostly it so far. If you aren't already using vim as your primary editor in a powerful way, you are gonna owe me for this. 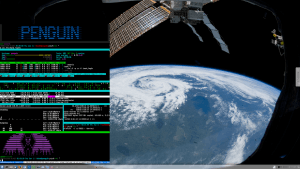 Scrolls the latest log entries for multiple log files to the current screen or to any other monitor or TTY in color using syntax highlighting, making debugging easier and saving a lot of time for multi-monitor workstations. While researching a unix/linux tool awk I came upon one of the most thorough and helpful tutorials I've ever seen devoted to a particular topic. It's old-school just the way I like it. I contacted the author, Bruce Barnett because I just HAD to have this article for my readers, who are predominantly running solaris/unix/bsd/linux and he kindly gave permission. 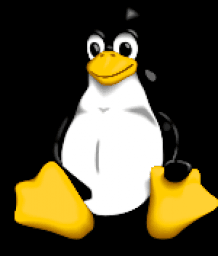 The Linux kernel was first released to the public on 17 September 1991, for the Intel x86 PC architecture. The kernel was augmented with system utilities and libraries from the GNU project to create a usable operating system, which later led to the alternate term GNU/Linux. Linux is now packaged for different uses in Linux distributions, which contain the sometimes modified kernel along with a variety of other software packages tailored to different requirements. Predominantly known for its use in servers, Linux has gained the support of corporations such as IBM, Sun Microsystems, Dell, Hewlett-Packard and Novell, and is used as an operating system for a wide variety of computer hardware, including desktop computers, supercomputers, and embedded devices such as mobile phones and routers. Unix (officially trademarked as UNIX®) is a computer operating system originally developed in 1969 by a group of AT&T employees at Bell Labs including Ken Thompson, Dennis Ritchie and Douglas McIlroy. Today's Unix systems are split into various branches, developed over time by AT&T as well as various commercial vendors and non-profit organizations. As of 2007, the owner of the trademark UNIX® is The Open Group, an industry standards consortium. Only systems fully compliant with and certified to the Single UNIX Specification qualify as "UNIX®" (others are called "Unix system-like" or "Unix-like"). During the late 1970s and early 1980s, Unix's influence in academic circles led to large-scale adoption of Unix (particularly of the BSD variant, originating from the University of California, Berkeley) by commercial startups, the most notable of which is Sun Microsystems. Today, in addition to certified Unix systems, Unix-like operating systems such as Linux and BSD derivatives are commonly encountered. Sometimes, "traditional Unix" may be used to describe a Unix or an operating system that has the characteristics of either Version 7 Unix or UNIX System V.
Berkeley Software Distribution (BSD, sometimes called Berkeley Unix) is the Unix derivative distributed by the University of California, Berkeley, starting in the 1970s. The term "BSD" is often non-specifically used to refer to any of the BSD descendants of today (e.g. FreeBSD, NetBSD, OpenBSD). BSD is one of several branches of Unix operating systems. Another one is evolved from UNIX System V developed by AT&T's Unix System Development Labs. A third consists of the GNU/Linux operating systems which draw from both Unix System V and BSD, as well as Plan9, and non-UNIX operating systems. BSD was widely identified with the versions of Unix available for workstation-class systems. This can be attributed to the ease with which it could be licensed and the familiarity it found among the founders of many technology companies during the 1980s. This familiarity often came from using similar systems—notably DEC's Ultrix and Sun's SunOS—during their education. While BSD itself was largely superseded by the System V Release 4 and OSF/1 systems in the 1990s (both of which incorporated BSD code), in recent years modified open source versions of the codebase (mostly derived from 4.4BSD-Lite) have seen increasing use and development. OpenBSD is a Unix-like computer operating system descended from Berkeley Software Distribution (BSD), a Unix derivative developed at the University of California, Berkeley. It was forked from NetBSD by project leader Theo de Raadt in late 1995. The project is widely known for the developers' insistence on open source code and quality documentation; uncompromising position on software licensing; and focus on security and code correctness. The project is coordinated from de Raadt's home in Calgary, Alberta, Canada. Its logo and mascot is Puffy, a pufferfish. 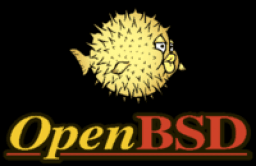 As with most other BSD-based operating systems, the OpenBSD kernel and userland programs, such as the shell and common tools like cat and ps, are developed together in a single source repository. Third-party software is available as binary packages or may be built from source using the ports collection. The OpenBSD project currently maintains ports for 17 different hardware platforms, including the DEC Alpha, Intel i386, Hewlett-Packard PA-RISC, AMD AMD64 and Motorola 68000 processors, Apple's PowerPC machines, Sun SPARC and SPARC64-based computers, the VAX and the Sharp Zaurus. 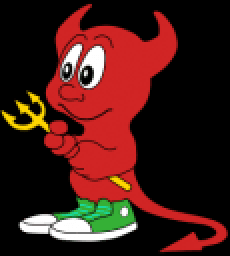 FreeBSD is a Unix-like free operating system descended from AT&T UNIX via the Berkeley Software Distribution (BSD) branch through the 386BSD and 4.4BSD operating systems. It runs on Intel x86 family (IA-32) PC compatible systems (including the Microsoft Xbox), and also DEC Alpha, Sun UltraSPARC, IA-64, AMD64, PowerPC and NEC PC-98 architectures. Support for the ARM and MIPS architectures are under development. FreeBSD is developed as a complete operating system. The kernel, device drivers and all of the userland utilities, such as the shell, are held in the same source code revision tracking tree (CVS). This is in contrast to other free operating systems such as Linux where the kernel, userland utilities and applications are developed separately and packaged together by other groups as Linux distributions. As an operating system, FreeBSD is generally regarded as reliable and robust, and of the operating systems that accurately report uptime remotely, FreeBSD is the most common free operating system listed in Netcraft's list of the 50 web servers with the longest uptime. A long uptime also indicates that no crashes have occurred and that no kernel updates have been deemed necessary, as installing a new kernel requires a reboot and resets the uptime counter of the system. 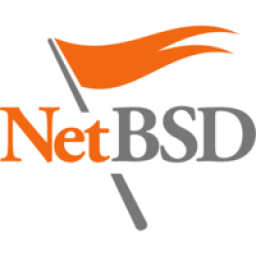 NetBSD is a freely redistributable, open source version of the Unix-derivative BSD computer operating system. 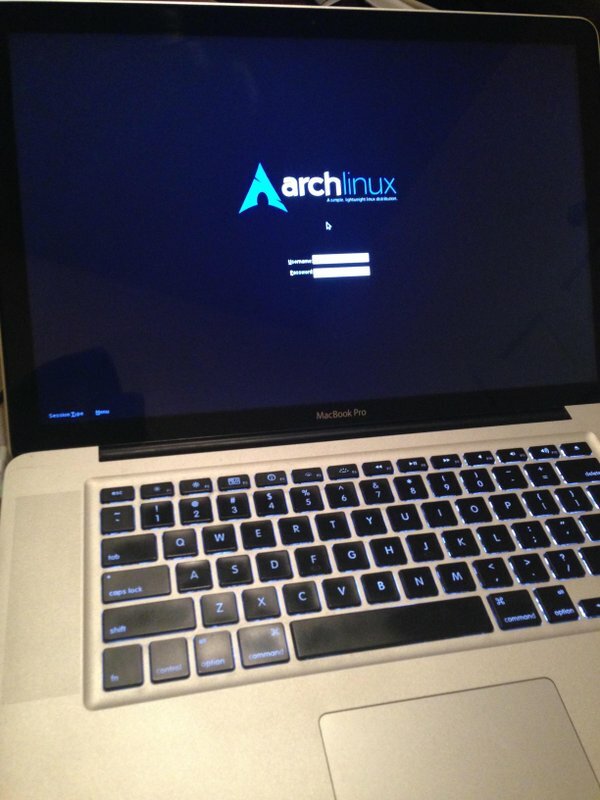 It was the second open source BSD variant to be formally released, after 386BSD, and continues to be actively developed. Noted for its portability and quality of design and implementation, it is often used in embedded systems and as a starting point for the porting of other operating systems to new computer architectures.